Nassau, The Bahamas – Scotiabank was named the Bank of the Year in The Bahamas by The Banker magazine, a Financial Times publication. 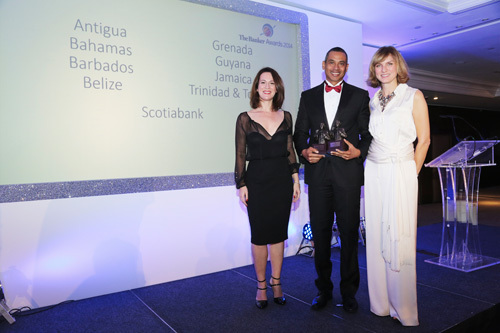 Managing Director, Sean Albert, was on hand in London in accept the award on behalf of Scotiabank, who also captured the The Banker’s Bank of the Year in Antigua, Barbados, Belize, Grenada, Guyana, Jamaica and Trinidad & Tobago. The Banker selects winners based on their ability to deliver shareholder returns and gain strategic advantage. The magazine is the world's longest running international banking magazine, recognized as a leading source of information on finance and investment around the globe. by the Great Place to Work® Institute.